Portable meter, on-site test of acid concentration of resin regeneration solution during the process of water treatment, suited in power plant, petroleum, chemical, pharmacy industry, etc. ●Acid solution concentration of electrode measurement, acid solution: H2SO4, HNO3, HCL and NaCl. ● Wide measurement range, only one electrode needed to test the full scale. ● Intelligent chip design, advanced measuring technique, easy to use. ● Options of the units such as %, mol/L, g/cm3, and g/L. ● Meter meets IP57 waterproof rating, equipped with portable case. 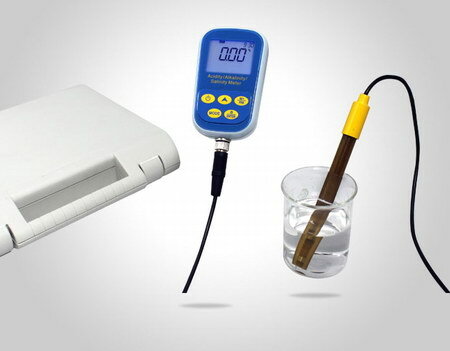 Portable meter, on-site test of alkali concentration of resin regeneration solution during the process of water treatment, suited in power plant, petroleum, chemical, pharmacy industry, etc. 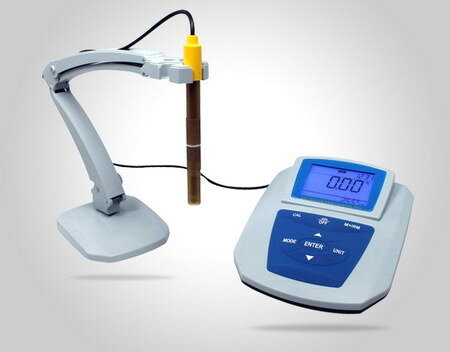 ●Alkali solution concentration of electrode measurement, alkali solution: NaOH, Na2CO3, NaCl. 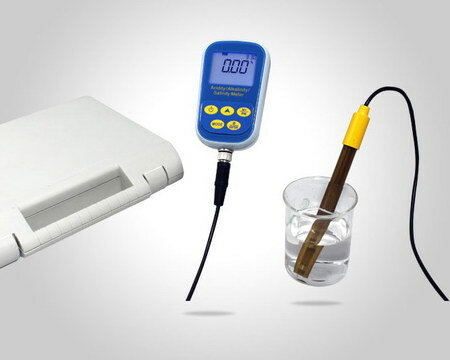 Portable meter, on-site test of acid concentration and alkali concentration of resin regeneration solution during the process of water treatment, suited in power plant, petroleum, chemical, pharmacy industry, etc. ●Acid-Alkali solution concentration of electrode measurement, acid solution: H2SO4, HCL and HNO3，alkali solution: NaOH, Na2CO3, KOH. ● Acid-Alkali electrode with the patented structure, corrosion-resistant and easy-to-clean. ●Meter meets IP57 waterproof rating, equipped with portable case. Lab. benchtop meter, sample testing of acid concentration and alkali concentration of resin regeneration solution during the process of water treatment, suited in power plant, petroleum, chemical, pharmacy industry, etc. ●Acid-Alkali solution concentration of electrode measurement, acid solution: H2SO4, HCL and HNO3, alkali solution: NaOH, Na2CO3, KOH.